If you’re looking to improve your covered call returns or boost profits on iron butterflies, two of the top options trading platforms to consider are thinkorswim and tastyworks. 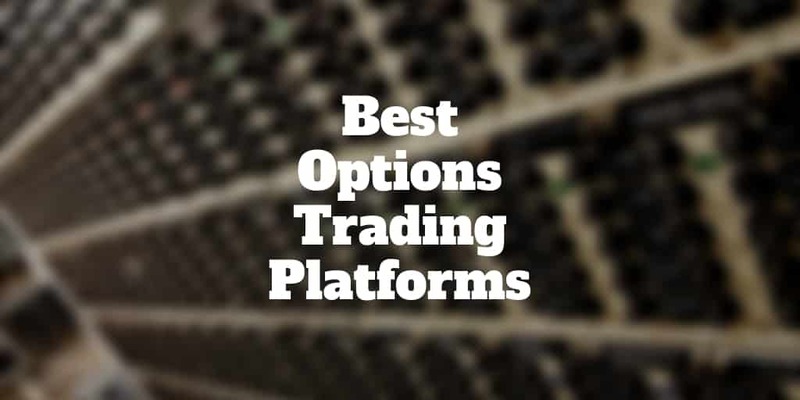 Both platforms were built by options traders for options traders. Compared to most rivals, they stand out from the pack with top notch tools, charts, and screeners. They also have a wealth of extra resources, including social trading components, risk graphs, free real-time data, and extensive educational resources. Which is best for you? Let’s take a deeper dive to see who comes out on top. thinkorswim is a platform owned by TD Ameritrade. It’s packed with tools, screeners and educational resources to help active traders make better investing decisions. The platform was designed with options traders in mind but futures traders and stock traders will find a home too. For traders looking for feedback on strategies and trade ideas, a social forum is available to discuss the pros and cons with other like-minded individuals. When it comes to commissions, thinkorswim is a bit pricey compared to other top platforms. It costs $6.95 to trade most stocks and ETFs, and over 100 commission-free ETFs are available too. No-transaction-fee mutual funds are available as are no-load funds that can be bought and sold for a commission charge of $49.99. Options are traded for $6.95 plus $0.75 per contract. Exercises and assignments will set you back $19.99. If you sell options and want to buy them back prior to expiration, check out the nickel buyback program, which allows you to buy back single-order short options without incurring any fees as long as the price is a nickel or less. TD Ameritrade thinkorswim is an advanced platform that is ideal for experienced options traders. The highly advanced charting interface lets you visually see how a symbol has moved over time, and you can customize your view to focus in on certain indicators. You can even create your own Chart Studies using thinkScript, an embedded programming language. This platform, along with its alerts, watchlists, and order queues, can be synced across various devices. Other tools on thinkorswim include Fast Beta, featuring recent price data; and Strategy Roller, a system that allows you to roll forward covered calls until you say otherwise. >> Is thinkorswim the Best Options Trading Platform? TD Ameritrade offers a wealth of screeners that can seem somewhat overwhelming at first. Screeners shortcut the process of selecting securities. You can create custom screens by inputting your ideas and preferences, or you can use one or more of the firm’s predefined screens. Different screens are available for stocks, options, mutual funds, and ETFs. For options, you can screen by criteria such as key rating, net debit, downside protection, annualized return rate, days to expiration, and dividend yield. Preset screens include CFRA PowerPicks, CFRA 4 Stars (or 3 or 5 stars), and CFRA Best 10. Virtual trading can help you test out different strategies to see how various scenarios might play out, all without putting up your own money. The thinkorswim virtual trading platform is called paperMoney. It’s essentially a trading simulator but one with analytical tools and digital records that you can study and use to determine whether it is worth taking the plunge with say a bull put spread or a married put. As an individual or a joint account owner, you can open up a cash or margin account. A cash account doesn’t require a minimum investment. Whenever you buy a security, you would pay for it with cash from your account. With a margin account, you have much more flexibility because you can borrow money to trade. This lets you take advantage of enticing opportunities even if you don’t currently have enough funds to purchase something outright. To maintain margin privileges, you must keep a balance of at least $2,000. The first type is owned by two or more parties who each have and maintain their own assets. When one owner dies, assets are passed on according to any wills or estates that have been set up. The second type is appropriate when the owners have an equal share of assets. When one owner dies, the other owner(s) will take over the account. Choices for retirement accounts include traditional IRA, Roth IRA, rollover IRA, SEP IRA, solo 401(k), simple IRA, and pension plans. For those who are saving for their children, TD Ameritrade thinkorswim offers 529 plans and Coverdell Education Savings Accounts. If you have a business, specialty accounts are provided. tastyworks features low commissions combined with extensive educational resources for active options traders. You can spend as much time as you want learning about various strategies, and then use built-in analytical tools to explore various trading options. Whether it’s options, stocks, futures, or options on futures that you’re interested in, tastyworks supports them all. To make an initial opening trade, it costs $5 for stocks and $1 for options. No commissions are charged to close stock or options trades – clearing fees still apply. Commissions on options trades are capped at $10 per leg. For futures, it costs $1.25 per contract to open and close. The commissions for options on futures costs $2.50 per contract to open and zero dollars to close. The clearing fees are $.0008 per share for stock trades and $0.10 per contract for option trades. Additional fees that are standard across most brokerages are assessed in certain situations. Those include Exchange Options Regulatory, FINRA Trading Activity, Regulatory, and SEC Regulatory Fees. If you are looking for trading ideas, the social trading feature at tastyworks is an excellent resource. You can “Follow” the trading activity of the tastyworks team members, all of whom are active and knowledgeable. There are three ways in which you can access the tastyworks platform. You can download it to your desktop and view live news feeds, customize charts, analyze potential outcomes, adjust strategies, and follow featured traders as they make their moves. Another option is to access it via a web browser. There, you can view trade histories, a Trade Curve to help visualize trades, and follow other traders. To stay connected to your portfolio while on the move, tastyworks has developed a mobile app. It has lots of information along with tools and charts, just on a smaller scale than the other two platform types. No matter which you choose, quotes are delivered quickly and the dashboard interfaces are user-friendly. Execution across the board is lightning fast. Plus, it’s easy to drag and drop different orders for options so that you can have all of your desired data in front of you at the same time. Individuals can either open up cash or margin accounts. A margin account is needed if you wish to sell options, for example as part of credit spread strategies. Retirement accounts are available too, including traditional and Roth IRA accounts. Earnings grow tax-deferred in traditional IRA accounts and are taxed upon withdrawal. Roth IRAs are funded with after-tax contributions so gains may be withdrawn later tax free. The pricing structure on tastyworks favors more active traders because when you sell options you won’t pay a dime in closing costs if you wish to close them out early. thinkorswim shines brightest when it comes to screeners and tools, selection of securities available to trade and account types. No matter which you choose, both rank among the best options trading platforms for order execution speed and accuracy. And regardless of how simple or complex an options trade you wish to place, you can be confident that both platforms will handle your requests without batting an eyelid.